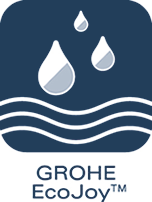 Ongoing investment in research and development allows GROHE to turn world-leading technologies for Kitchens and Bathrooms into reality. 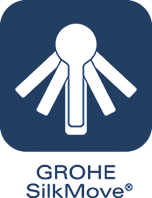 We have tagged at the GROHE products on this website with their relevant Moment of Truth. Click on the tag and our search results will return all the products. 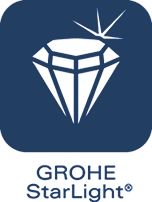 GROHE Moments of Truth technology is developed with you and your enjoyment in mind. 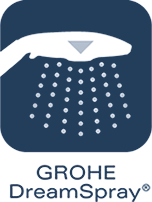 The GROHE CoolTouch® technology ensures that the entire outer surface never exceeds your preferred shower temperature. By designing our thermostats to include an innovative cooling channel, we have created a barrier between the hot water and the chrome surface - so it’s never too hot to handle. 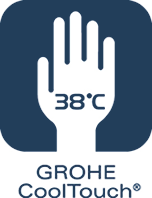 This safety measure is especially useful for children, who can not always judge whether something they touch is dangerously hot. We believe that technology should make things easier and reduce the complexity of everyday life. 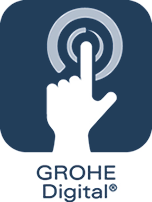 With GROHE Digital®, a single touch is all it takes to start your perfect shower or bath. 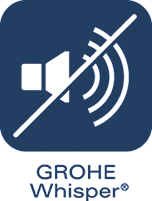 The GROHE Digital® technology brings simplicity to the bathroom. Intuitive user icons allow the user to easily pre-program their preferred combination of water temperature, flow rate and duration.Create your personal water experience and start it with a fingertip. Innovative quality showers for luxurious revitalisation and well-being. 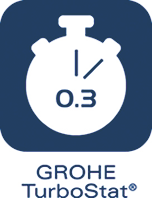 Our revolutionary GROHE TurboStat® technology delivers water at your desired temperature within a fraction of a second and keeps it constant for the duration of your shower. By increasing the sensitivity of the thermo-element, our thermostats react to changes in water pressure twice as fast as before. For peace, comfort and design freedom, our concealed cisterns feature GROHE Whisper® technology. Thanks to decoupled pipe supports, there is no sound transfer to the structure of the building when the water is released from the cistern to the bowl. Allowing the WC to be located in the most convenient location without fear of disturbing others.